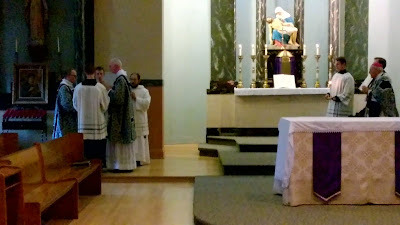 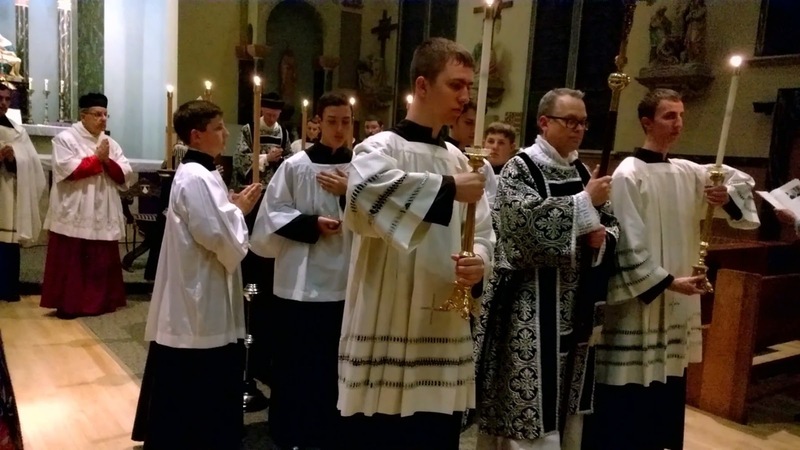 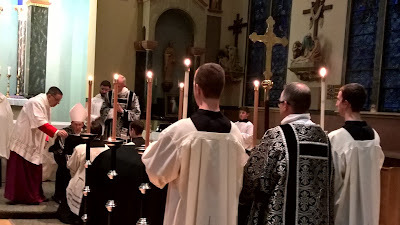 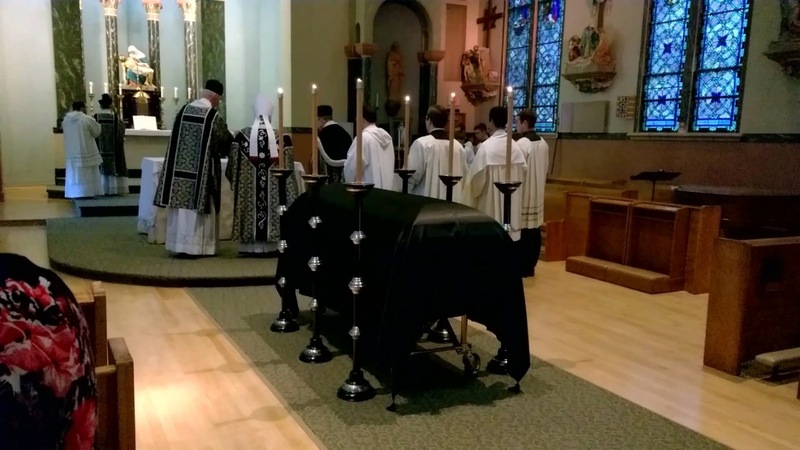 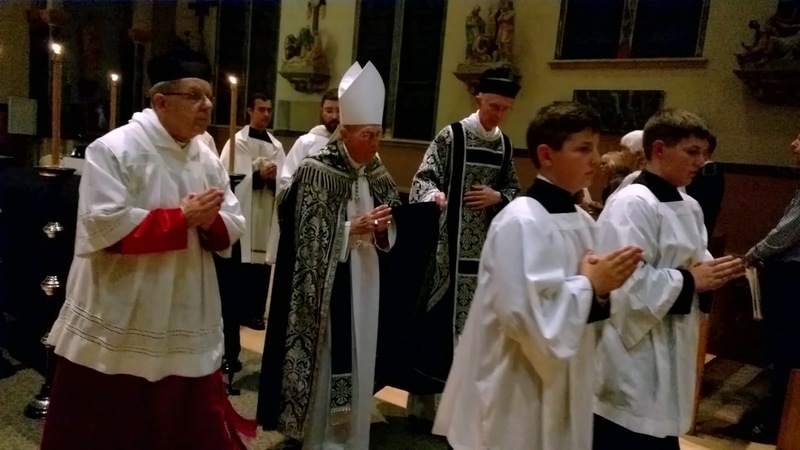 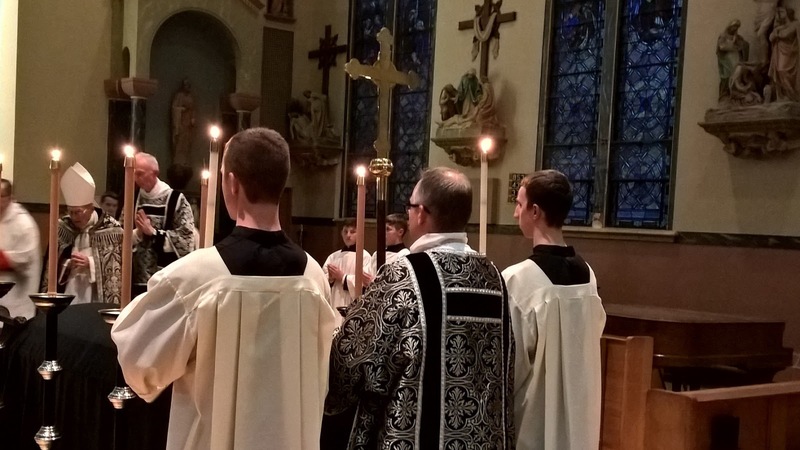 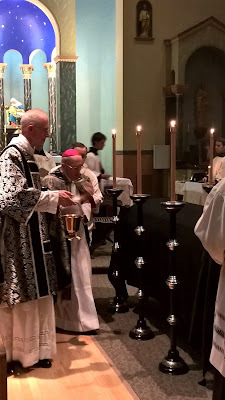 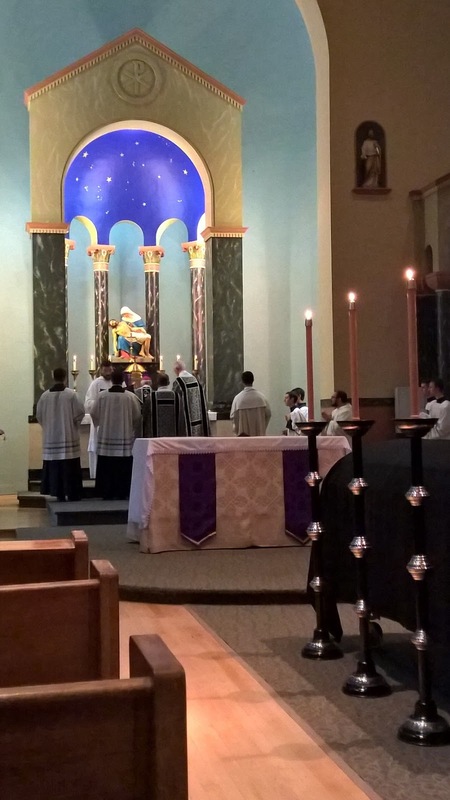 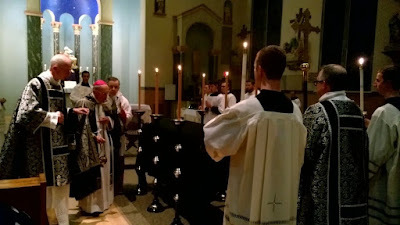 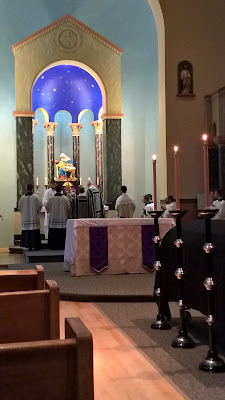 The 18th Annual Byrd Festival at St. Stephen Parish in Portland, Oregon began on Friday, August 7th with a Solemn Pontifical Mass at the Faldstool, celebrated in memory of David Trendell by His Grace, the Most Reverend Basil Meeking, Bishop Emeritus of of Christchurch, New Zealand. 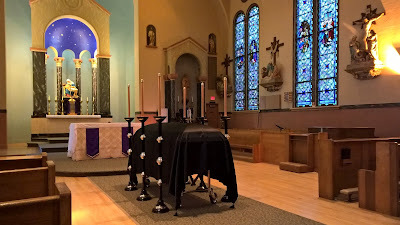 The Victoria Requiem (1605) was sung by Cantores in Ecclesia, directed by Blake Applegate. 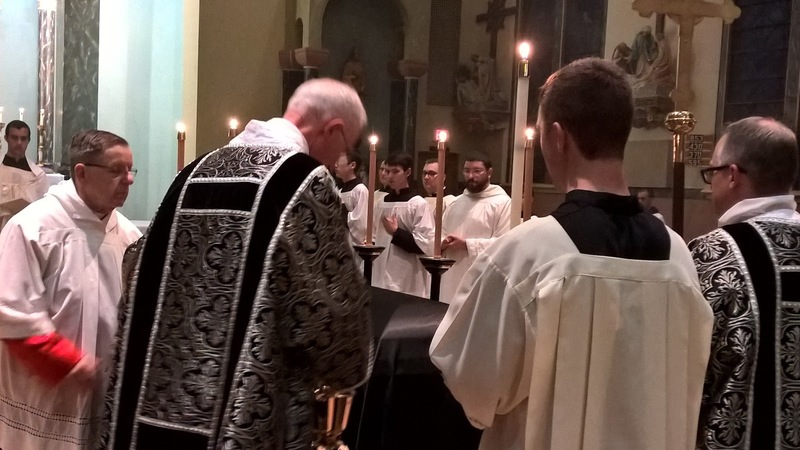 Mr Trendell was preparing the Victoria Requiem with the Choir of King’s College, London, when he died suddenly a week before All Souls’ Day last year. “It is fitting that this piece should open the festival which this year is dedicated to his memory.” (program notes - our thanks to Fr Eric Andersen for sending in these photos).